Gettin’ “Loud” at the top. After three weeks at #1, Taylor Swift‘s “Blank Space” falls back to #3, and replacing it is Ed Sheeran‘s “Thinking Out Loud”, up 2-1. 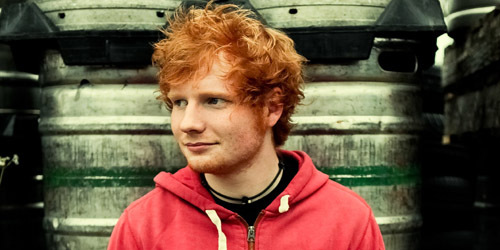 This is the second chart-topper for the 23-year-old English singer/songwriter, who spent a frame at #1 back in April 2012 with “The A Team”. 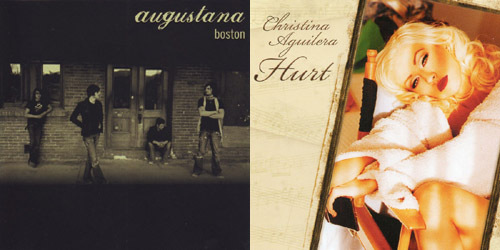 It’s also his first #1 of the era: previous singles “Sing” and “Don’t” could only go as high as #2, the former for two weeks and the latter for one. All three can be found on X. Looking to break into next week’s top ten are three tracks: “All About It” by Hoodie Allen and the aforementioned Ed Sheeran is up 13-11, while another collaboration, Clean Bandit and Jess Glynne‘s “Real Love”, advances up two from 14-12. Also, leaping 18-13 this week is “Honey, I’m Good” from Andy Grammer. Everyone except Allen has at least one top ten to their name, so we’ll see how the battle continues in seven days. The week’s only debut comes from superstar Kelly Clarkson, bowing in at #32 with “Heartbeat Song”. It’s the first single to be taken from her forthcoming album Piece By Piece, due in March. After reaching the top ten on iTunes at the first part of the week, it’s fallen back some, but with strong radio data, it should see a nice debut on the Hot 100. Sweet times ahead for Title. She’s had two big hits in a row with “All About That Bass” and “Lips Are Movin'”, and now, Meghan Trainor will be movin’ a significant amount of first week copies for her first full-length album, Title. (Yes, that is the actual title of it. Not the most creative name for an album, but there have been much worse.) Look for it to have a strong debut at the top of the album chart, reminiscent of Ke$ha‘s January debut of Animal back in 2010. (iTunes). Other releases out this week include: DMX‘s Redemption Of The Beast (iTunes), Donny Osmond‘s The Soundtrack Of My Life (iTunes), Jazmine Sullivan‘s Reality Show (iTunes), Kat Dahlia‘s My Garden (iTunes), Kidz Bop‘s Kidz Bop 27 (iTunes), Panda Bear‘s Panda Bear Meets The Grim Reaper (iTunes) and a Various Artists effort, Another Day, Another Time: Celebrating The Music Of Inside Llewyn Davis (iTunes). Next week, Fall Out Boy, Lupe Fiasco and The Decemberists are all fighting for top ten debuts on the Billboard 200, but the ladies of the moment, Meghan Trainor and Taylor Swift, will be staying strong against the guys. A full preview is coming in seven days! Can’t compete with this ‘beat. It’s been about eighteen months since the first American Idol champ, Kelly Clarkson, trotted her way onto the Top 40 airwaves with “People Like Us”. Though the single easily made the top ten (#7) at Hot AC radio, it barely touched top 30 on the CHR chart, and the anthemic song quickly faded away. After a minor Country chart entry (“Tie It Up”) and a successful Christmas album in Wrapped In Red, the 32-year-old chanteuse is once again ready to take over the national surveys, leading off her forthcoming studio set with a pulsing pop single about the unexpected rekindling of one’s romance and the joys and passion that come with it. During the second verse, Clarkson continues to tell about the surprise nature of the budding relationship, but realizes in retrospect that “I never would have had a doubt / if I’d have known where I’d be now.” The physicality of love now plays into it, from “hands on my hips” to a “kiss on your lips.” She also reflects on the nostalgia of a once-present idea of young love and the dream of finding that special person, relaying that “I can’t believe I ever breathed without you” and that she is “alive and brand new” with the man she chose. It’s quite a sweet and tender message, one that is sure to resonate with a varied audience that is thirsty to hear a new single from their beloved hitmaker. All wrapped up in the production of the All I Ever Wanted and Greatest Hits – Chapter One eras, the song doesn’t find any new ground musically, but certainly fits in with the sound of most of the big songs today. Yet, it’s safe; though it’s a leadoff single, something a little bit riskier could’ve been just as well-received. It’s Kelly Clarkson, after all. Gloss is the way pop music goes, and the 80’s driven synth and guitar arrangement suits her voice. Vocally on point, it’s not her most strenuous affair, but the results are still solid. The initial reaction across social media and forums is positive thus far. Three songs debut on this week’s top 40 and the highest is from newcomer Scott Helman, a singer/songwriter out of Toronto, Canada. “Bungalow” comes in at #38 and can be found on the EP Augusta, only available up north (as of now, at least.) The single is also approaching the top 20 on Alternative radio in Canada with some nice weekly gains. 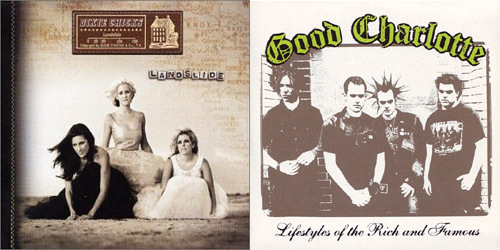 Aussie rockers The Griswolds were on the chart a few months ago with “Beware The Dog”, which climbed to #9 in August and stayed there for four weeks. Their follow-up, “If You Wanna Stay”, debuts at #39 this week. Both tracks are from their Be Impressive album. “Stay” goes to Alternative radio in the States in just under two weeks. Finally, at #40, is Ellie Goulding with an instant impact single, “Love Me Like You Do”. It’s this year’s first song to debut from a film soundtrack, featured on the forthcoming set from Fifty Shades Of Grey, out next month. You may remember that “Fade Out Lines” by The Avener, down at #22, will also be heard during the movie. Monday marks the debut of Kelly Clarkson‘s “Heartbeat Song” and it’s sure to be a winner. How will it rank on the top 40 next week? Can Madonna, Take That or Train also join the party? Come back on Sunday to find out! From “Boston” to the chart world. 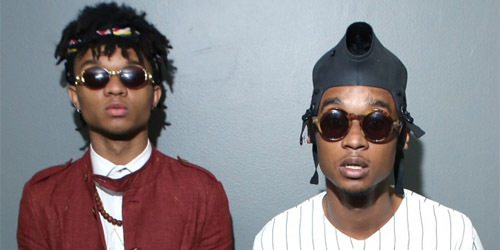 Don’t ask me how to pronounce the name Rae Sremmurd — you may as well call the duo Kris Kross 2.0. Luckily, their album can be called SremmLife, which will be next week’s highest debut on the Billboard 200 (unless there’s an act secretly planning something I don’t know about.) It features the singles “No Flex Zone” and “No Type” (iTunes). Other releases out this week include: Jim Brickman‘s Pure Romance (iTunes), Joshua Radin‘s Onward And Sideways (iTunes) and the physical release of Trent Reznor & Atticus Ross‘s soundtrack to Gone Girl (iTunes). Next week, it’s all about Mark Ronson‘s Uptown Special vs. Meghan Trainor‘s Title on the album chart to see if either one can knock Taylor Swift‘s 1989 out of #1. A preview is coming next Monday night!